Gambling is considered to be a pastime as old as civilization itself. People love to gamble, and there are people who have understood this attraction and converted from a mere pastime into an industry. That was what led to the opening of the Ridotto in Venice in 1638, an establishment considered by many to be the first official gambling joint or ‘casino’ in Europe. Today gambling is a prosperous global industry. There are regulations and laws attached to gambling globally; the rules differ from one location to another. The rules also differ from one form of gambling to another. We take a look at the gambling laws globally and discuss the different countries/regions that provide good gambling opportunities. With all the regulation and laws in place, there is no questioning the fact that gambling is a booming industry. There are land-based casinos where you can gamble, there are real money online casinos, and now there are mobile casinos as well. There are many countries that have legalized gambling and earn healthy revenue from it in the form of taxes. A study by PwC recently showed the trend in terms of revenue generation for governments from casino gambling in 12 countries worldwide; we provide information based on this study for 9 countries with significant gambling operations below. From the above table it is apparent that gambling has been very popular, especially online gambling, in many countries across the world. But then there has always been a problem with online gambling – the lack of clarity in terms of the laws governing its legality. Next we will discuss the legality of online gambling in various countries across the world. North America: Projected compound annual growth rate (CAGR) of 4.7%. Europe, Middle East, and Africa (EMEA): Projected CAGR of 2.4%. Latin America: Projected CAGR of 8.1%. Asia Pacific: Projected CAGR of 18.3%, which is the highest of all the 4 regions surveyed. The surge towards the top for the Asia Pacific region has been on the back of a strong showing by Macau and Singapore, rapidly emerging as the two gambling hotspots of the Asian continent. Between 2009 and 2010, this region saw a staggering 49.7% growth. When it comes to gambling laws, there have been gradual shifts at the international level. Take for instance the case of licensing jurisdictions. In the earlier days, and actually till a few years back, there were just a few authentic licensing jurisdictions. The major ones included Antigua and Barbuda, Malta, Isle of Man, Gibraltar, Curacao, Kahnawake Gaming Commission, and others. Over the years, new jurisdictions have been added to give operators a wider range of options. These include Puerto Rico, Cyprus, New Zealand, India, Alderney, and more. Gambling legislations have also changed over time. This has been true in different parts of the world. In the UK, for instance, legislation passed in 2014 now requires casino operators in the country as well as outside to get a license from the UK Gambling Commission (UGGC). Earlier, this was not the case; an operator could provide online casino services to UK residents as long as they had a license from one of the recognized gambling jurisdictions. The African market has also opened up with the passing of legislation in South Africa; now online casino gambling is legal there. These are just two instances of the different trends in online gambling worldwide. It is very clear at some of the online casinos whether you are allowed to play the games they offer or not. Certain casinos do not accept players from specific countries – the software provider is the one who usually has these terms in place; this is clearly outlined in the terms and conditions section of these casinos. Certain other casinos do not have clear guidelines from their side in this regard; the onus is on the player to figure out the legality aspect. However, there is still no universal framework regarding the legality of land-based or online gambling. Land-based gambling is legal in the USA; in fact Las Vegas is considered by many to be the gambling capital of the world. However, things are very different when it comes to online gambling. Online gambling has always been a grey area here. Ever since the passing of the Unlawful Internet Gambling Enforcement Act (UIGEA) in 2006, things have changed quite a bit. While this act did not make online gambling itself illegal, it barred financial institutions here from processing transactions for US residents at online gambling sites. This caused a number of software providers and casinos to back out of the US market; providers like Microgaming, Playtech, and NetEnt do not accept players from the USA. Here are a few basics about the laws pertaining to gambling in the USA. Federal: Major laws include the Interstate Wire Act, the Professional and Amateur Sports Protection Act, and the UIGEA. State: These are strict laws. Some states allow only state-regulated gambling. Local: These include county laws and also municipal laws. Some local laws include the Cook County Gambling Machine Tax Ordinance. These laws are not designed to handle the scenario in the gambling industry today; newer laws have been incorporated, like the UIGEA. The situation in the UK is very different from that in the USA when it comes to gambling – land-based and online. Online gambling is completely legal in the UK. Of course it is allowed in a completely regulated environment. Casinos from within and outside the UK are allowed to cater to UK residents as long as they have a license from the UK Gambling Commission as per a ruling in 2014. This latest ruling has tightened things a bit, requiring even overseas operators to obtain a UKGC license; earlier it was enough if they had a license from any one of the recognized licensing jurisdictions across the world. Every country in Europe has its own individual legislation for gambling. Countries like Russia, for instance, have clear laws on gambling. While land-based gambling is still permitted, there is a strict ban on online gambling. Other countries like France and Germany have their own laws as well. Some of the countries follow the regulations laid down by the European Commission, given that all countries of Europe are member nations of the European Union. All countries in Asia have their own gambling laws. Some countries allow for land-based casino gambling. While there is no uniform law with regard to online gambling, there are restrictions in many countries. Macaw and Singapore have emerged as the hotspots for gambling in Asia. For instance, a country like Israel has some flexibility when it comes to online gambling. Then again, there are countries like India, where there is no clear law regarding online gambling. Gambling itself is popular there, but not allowed technically. There are a number of online casinos that accept players from India. Gambling in Africa is like a mixed bag. There are numerous countries where gambling is allowed officially in some form or the other. South Africa, for instance, had licensed horseracing while banning all other forms of gambling. In recent times though the rules here have eased up; new legislation makes online gambling permissible as long as it is licensed in one of the local jurisdictions. Gambling is also popular in other African countries like Nigeria. Disclaimer: As you can see, there is no one right answer when it comes to online gambling and the law. 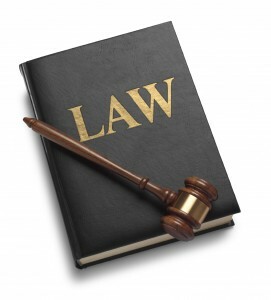 We urge you to learn about your local laws before gambling online. NoDepositCasinos247.com does not condone illegal gambling. We cannot be held liable for what happens on third-party websites. Last updated by Adam Fonseca on March 3, 2016 .